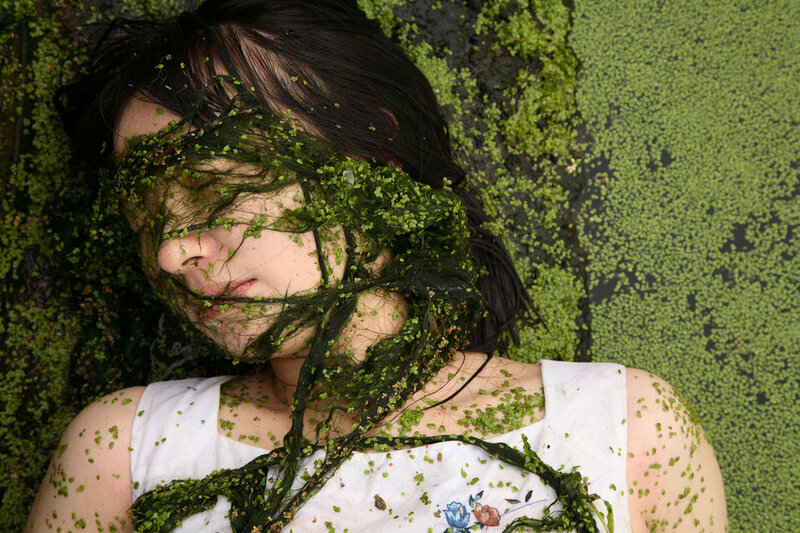 In June of 2008, she performed her work, “Death of the Xinkai River.” The Xinkai River is one of the major rivers in Tianjin, and it used to nourish the city. 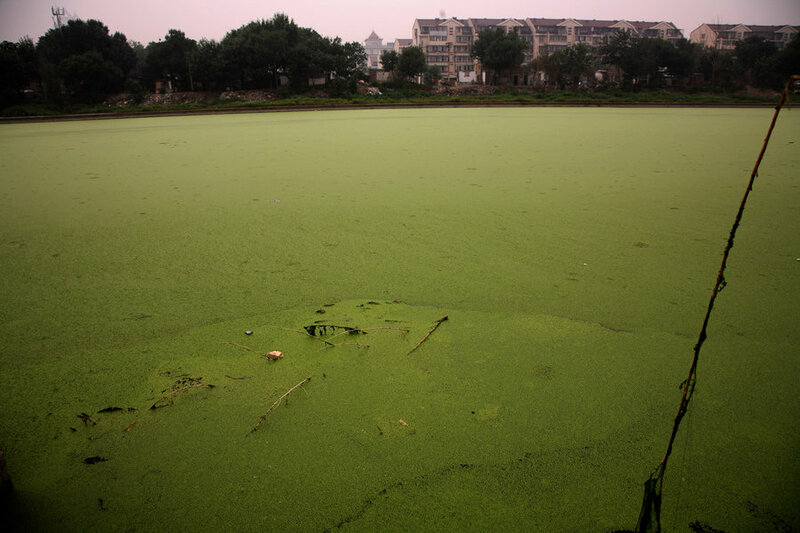 In recent years, however, due to city water pollution and the excessive discharge of industrial water, the river water has become severely polluted. 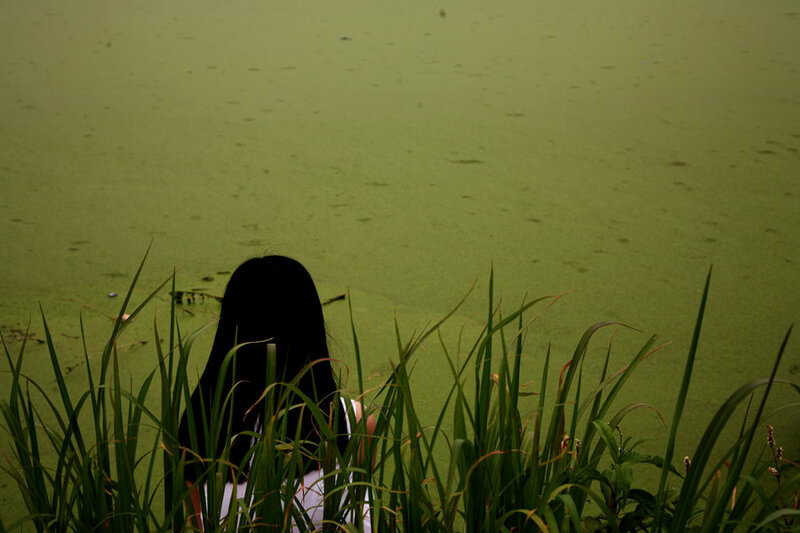 Every summer, this body of water gives off putrid smells, and a vast quantity of blue-green algae grows on the water’s surface. 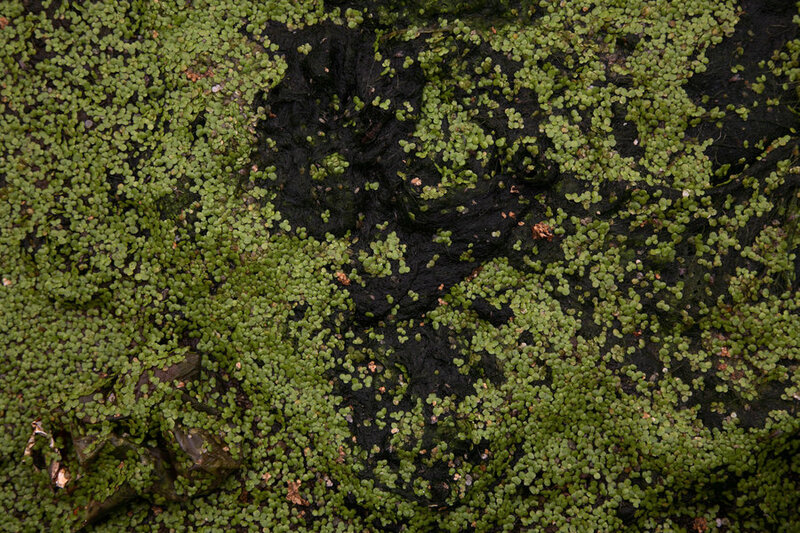 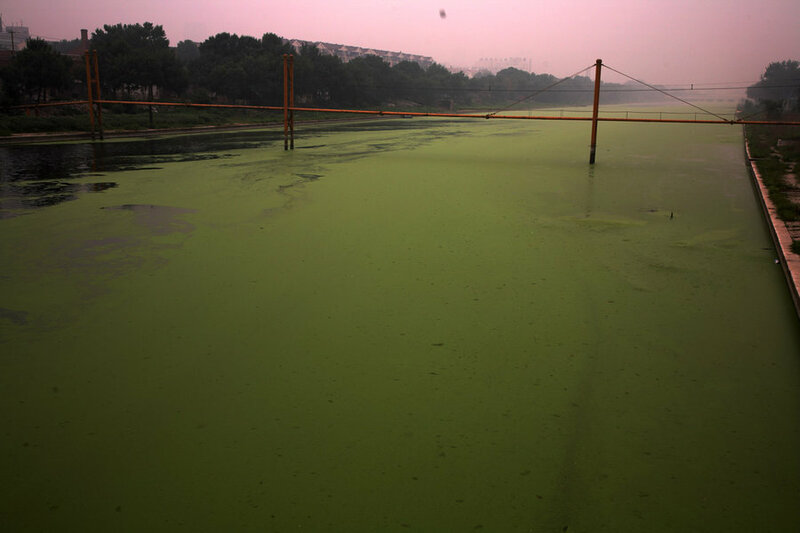 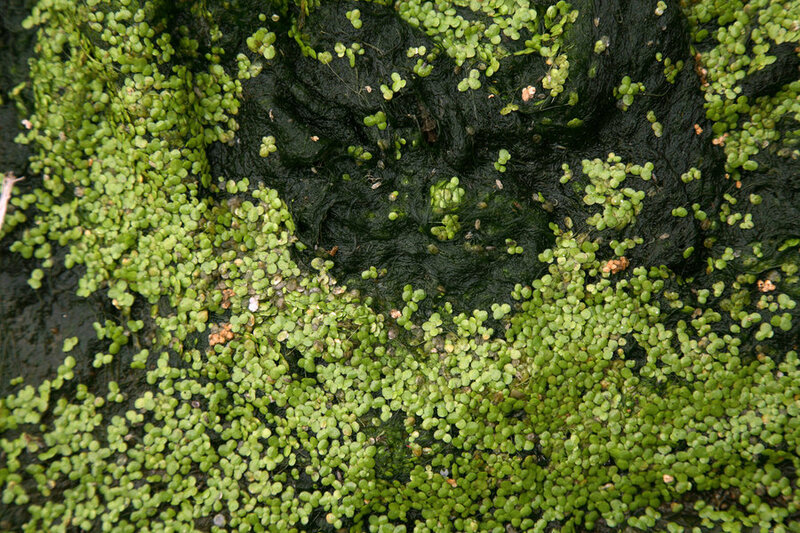 The blue-green algae covers the entire surface of the river. 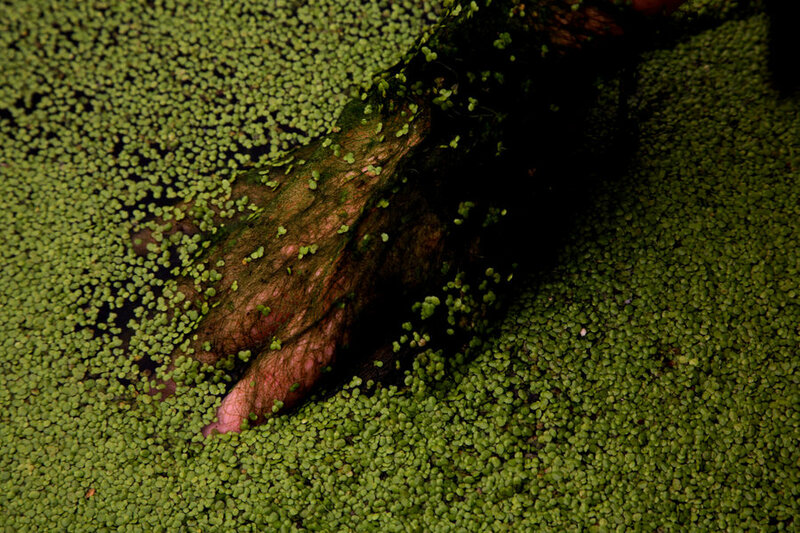 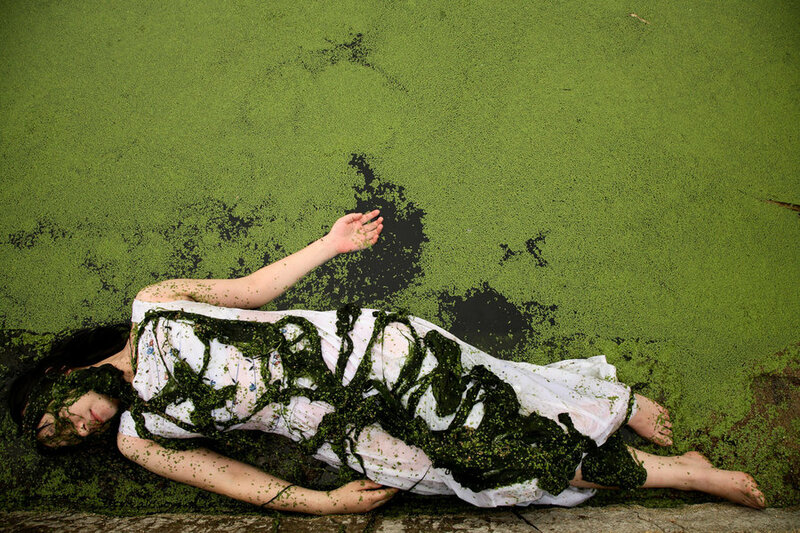 In the spring of 2008, a female freshman at the Academy of Art was murdered and her corpse was thrown into the river. 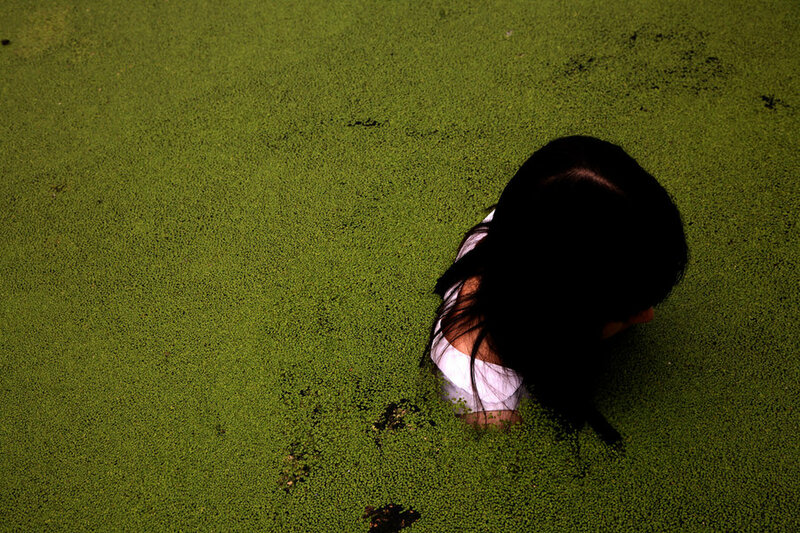 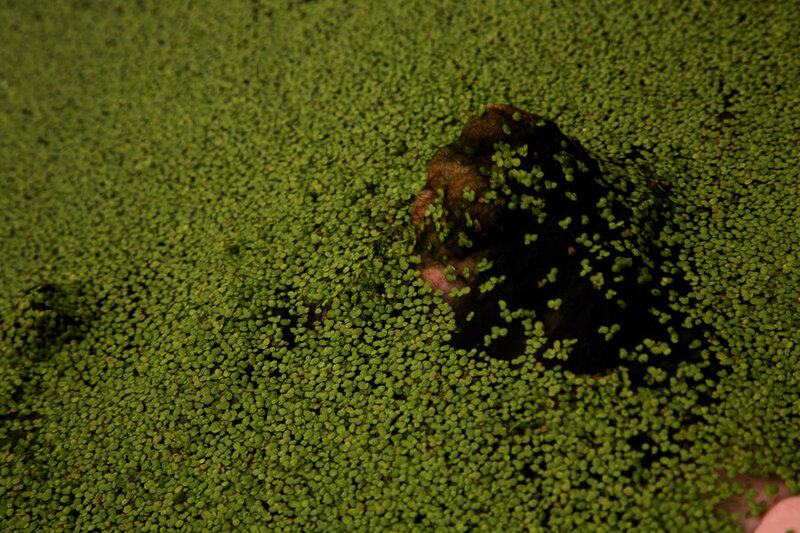 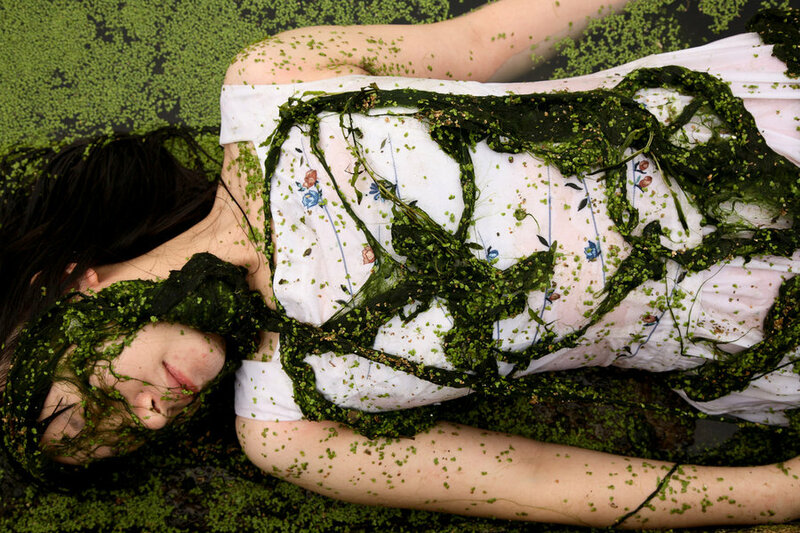 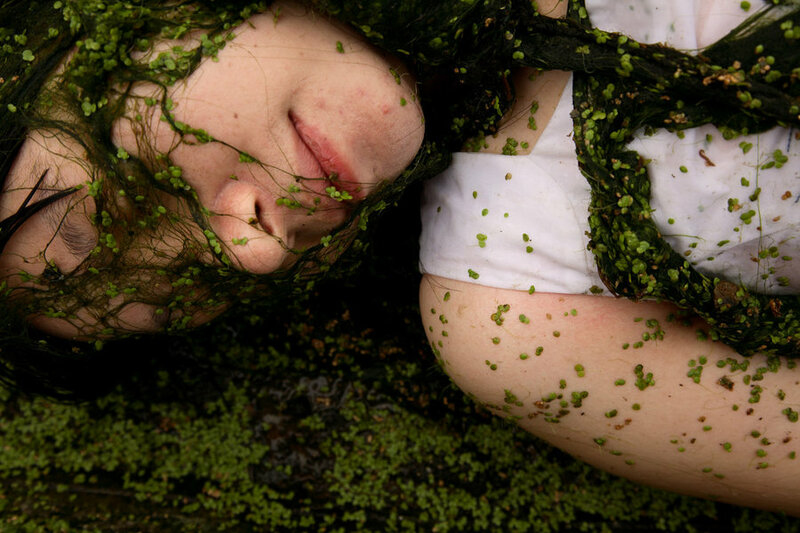 As a result, Li Xinmo held a performance in the Xinkai River in which she submerged herself under water. 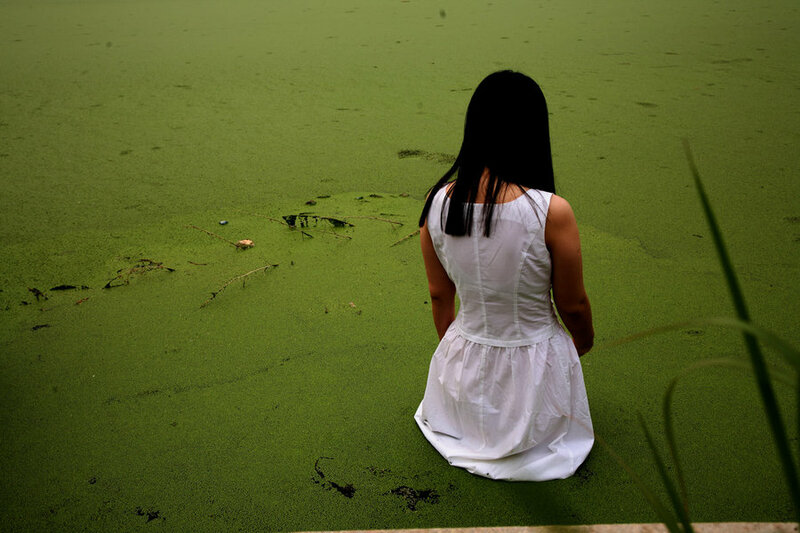 Wearing all white, she walked into the stench of the dead water. 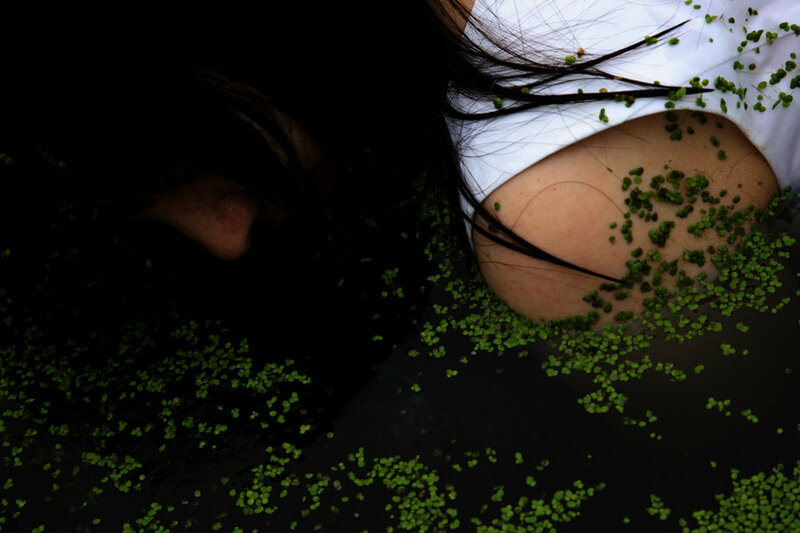 She comments, “This beautiful river has already died. 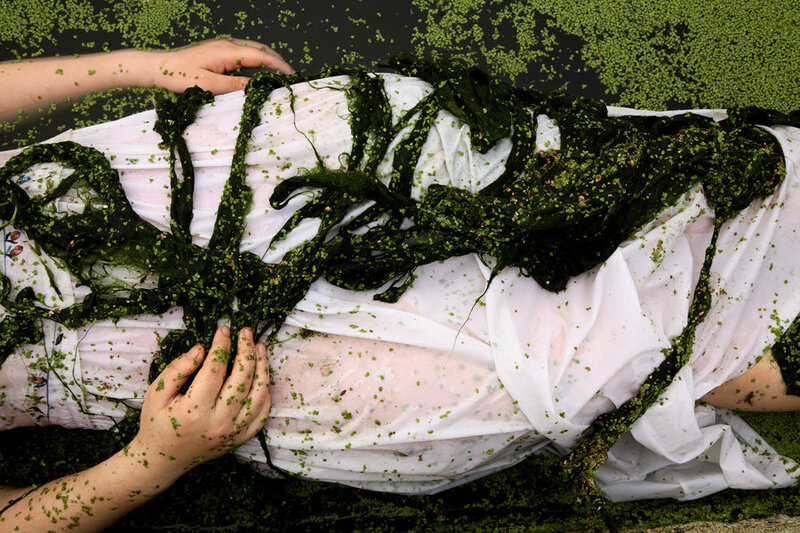 The young woman also died. 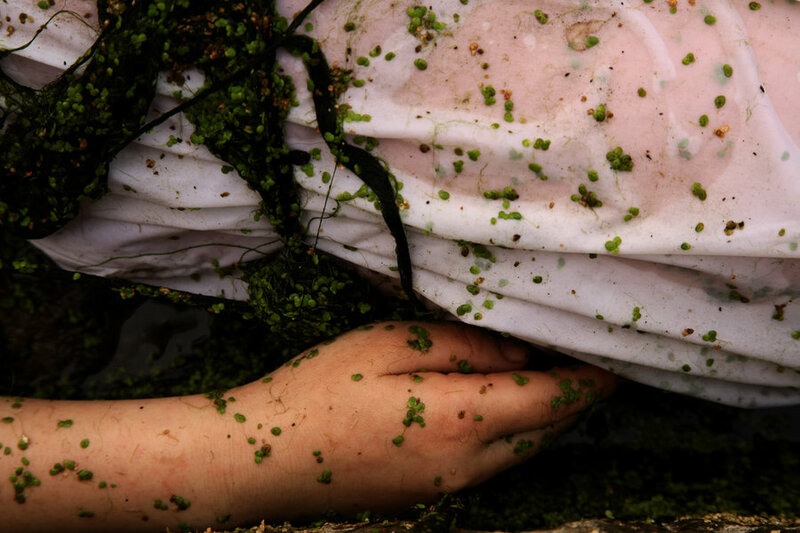 Perhaps I want to intentionally make death appear before us, to make people see their crimes.” This work has two layers of meaning: one is a visit to pay homage to a river; the second is a proclamation of Chinese women’s issues.